Also known as - Napoleon III, Second Empire Baroque , or Beaux-Arts Style. In the United States it was also called the General Grant style because of its popularity in government buildings during the Grant administration. During the reign of Napoleon III and the Second French Empire, construction of the New Louvre in Paris in 1850-57 set a fashion for ornate mansard structures and became internationally popular. 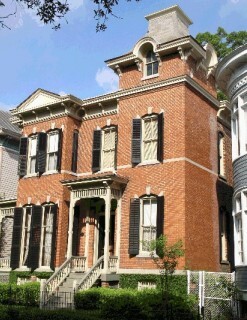 Named the Second Empire style it was popular during the Victorian era and reached its popularity between 1865 and 1880. 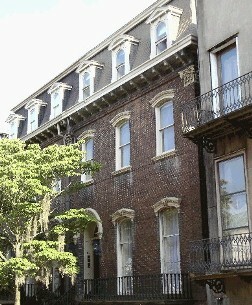 As with all architectural styles the Second Empire style has stylistic relationships with the preceeding Gothic Revival and the Italianate style. Although there are a great many variations, some general ones can be identified… the building is usually large and has a square or nearly square plan. There is an abundance of classical detail. 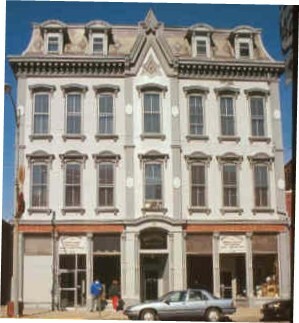 Usually a high concave or convex mansard roof. Pavilions extend at the ends and usually carry higher mansards. 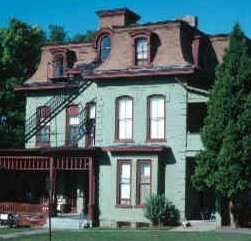 In the United States, the Second Empire style usually combined a rectangular tower with a steep, mansard roof. By increasing head room in the attic space, it provided an additional usable floor. To provide light on this floor, the mansard roof was almost always pierced with dormers.This tower element can be taller than the rest of the house by a story or two. 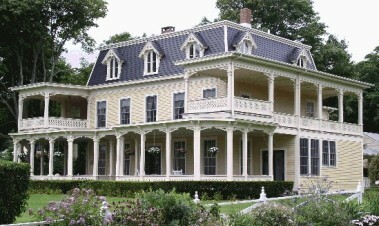 The roof crest was often topped with an iron trim, sometimes referred to as “cresting”. The exterior style was either wood, brick or stone. 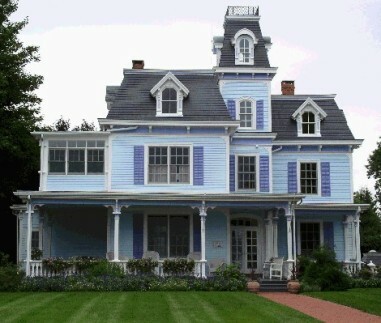 More hi-style examples frequently have paired columns and sculptured details around the entrances, windows, and dormers. The overall use of extensive and complicated ornamentation makes the Second Empire style appear imposing, grand and expensive. The style also found its way in commercial structures, and was often used when designing state institutions. But its ornate detail was quite costly and fell out of favor when the period of prosperity during the Grant administration turned into the economic depression of the 1870s. •	War and Navy Building, now the Old Executive Office Building, 1871 - 1887 Washington D.C.
Second empire homes feature mansard roofs with dormer windows, molded cornices, and decorative brackets under the eaves. 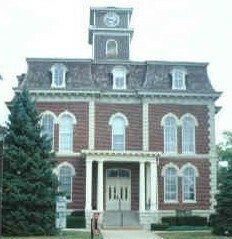 One subtype sports a rectangular tower at the front and center of the structure.